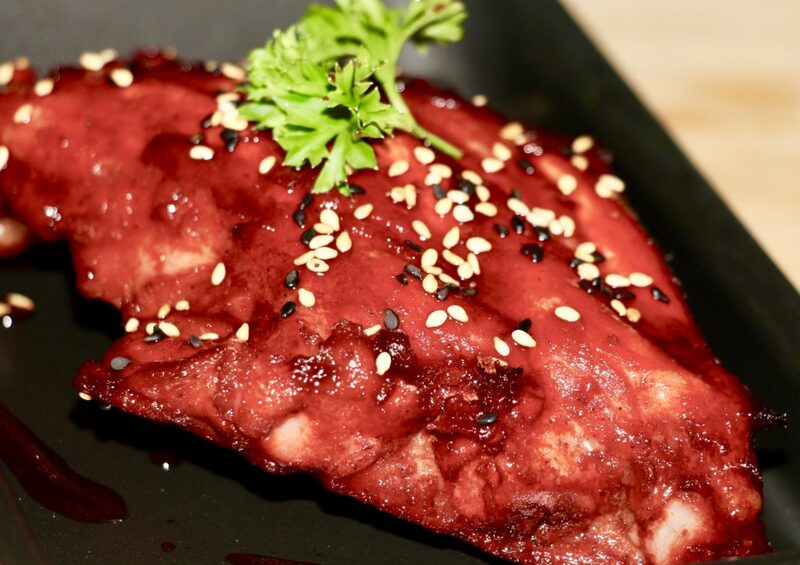 Iza, Izakaya Bar & Restaurant, Siglap | Is Life a Recipe? You may have seen before that we frequent Mikawa Restaurant quite a lot in Siglap. Well hey presto, Maurice, Mary and son (POD) have now opened a new joint literally across the road. 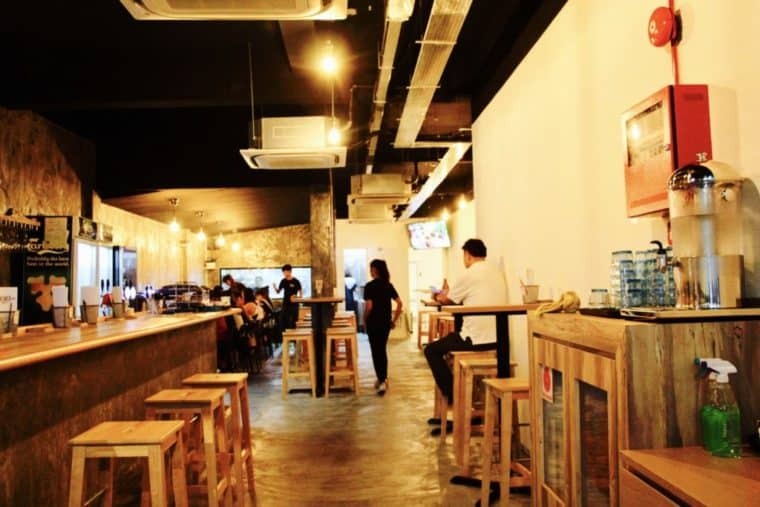 This is known as Iza, Izakaya Bar & Restaurant, Siglap. It is a cracker. A must try in my reckoning. It was packed. Only complaint would be that service is a tad slow, but that is likely teething pains of a brand new restaurant. New choices on the menu now for us. Some I have never seen before, but you will below. Maurice and Mary be proud. This place is rocking. Food was amazing and price is on the money. Superb thanks. We will indeed be becoming regulars at Iza, Izakaya Bar & Restaurant, Siglap. It was so so good. There’s variety to other menus, and it was super fresh. Great work guys, we fell in love immediately. Let’s make some call outs. Good looking joint on the inside, although ideal for families with wee kids. We sat outside of course, not at the high chairs. 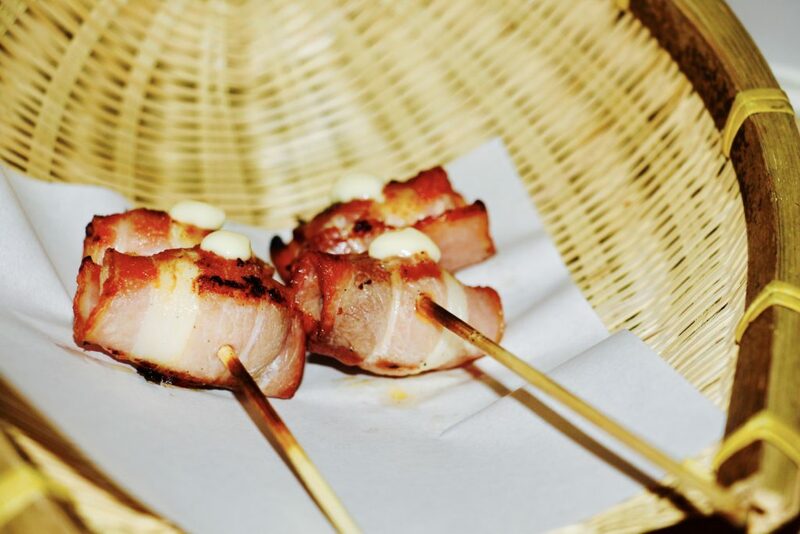 OMG – the quail eggs wrapped in bacon, with some Japanese mayonnaise. These were flavour explosions. So so good. A must try! Holy cow to the left is something I am so stealing for ChillaxBBQ. Lychee, wrapped in bacon and chargrilled. A near death moment, as my heart almost stopped! Another call out is the spicy lamb skewers to the right, wow so bloody good. Packing a punch, but so damned tasty, and tender. Seriously good! The liver was on the OK scale! 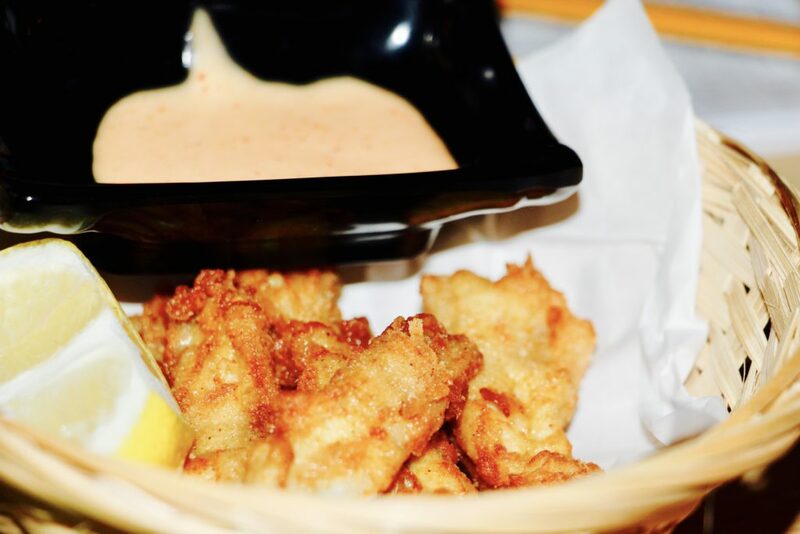 Another call out is the deep fried chicken soft bone – like KFC on steroids, and so perfect with the cold Asahi I had to my side – seriously so good. Sorry guys – didn’t like the Broccoli, came out a little bitter. 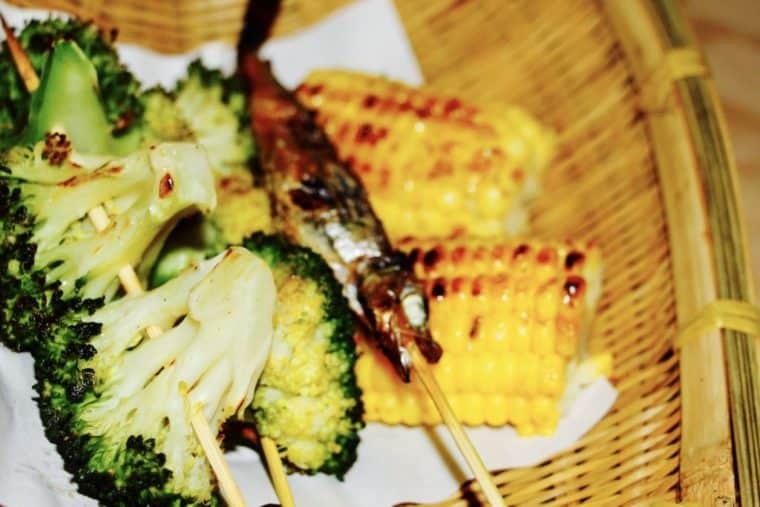 The sweetcorn was ace though, and Mary said the Shishamo was the best ever she has tasted! 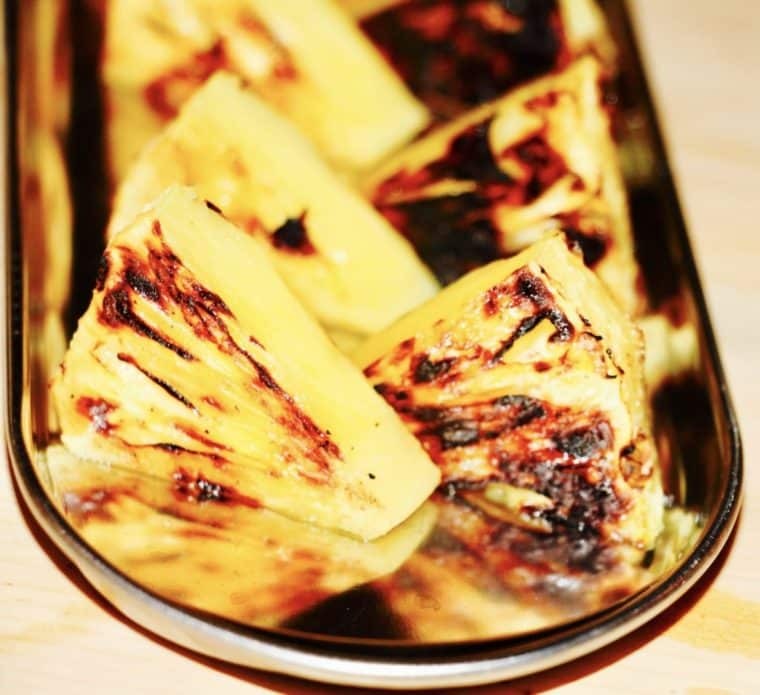 You can never go wrong with chargrilled pineapple. Get some of that charring and get the sweet and savoury kick. Yummo! This was legendary! 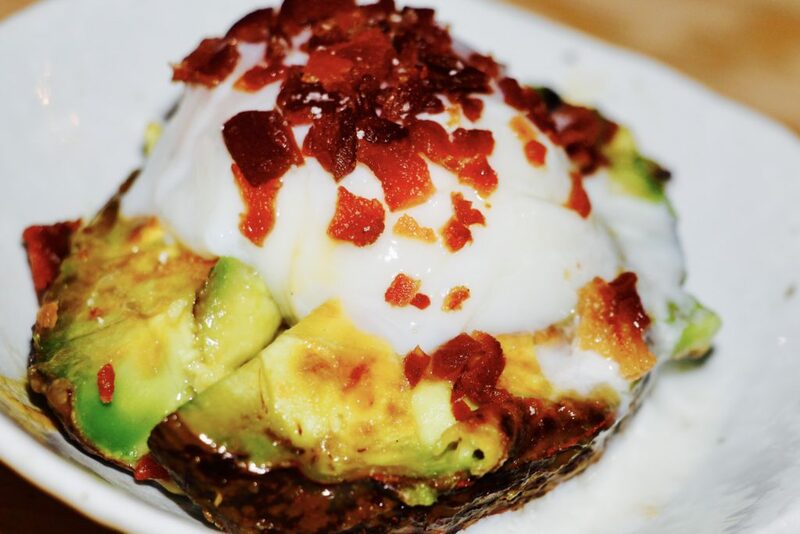 Have you ever had grilled avocado? Me neither. This was grilled, served with a poached egg and bacon bits. Oh yeah baby, we really, really liked this one! It’s funny that the Char Siew sticky pork ribs were actually the least favourite. Seemed to be a tad overdone, and a little tough. When I say funny, I mean the restaurant is owned by Singaporean Chinese and Char Siew is a stable food, but their Japanese stuff was way way better. 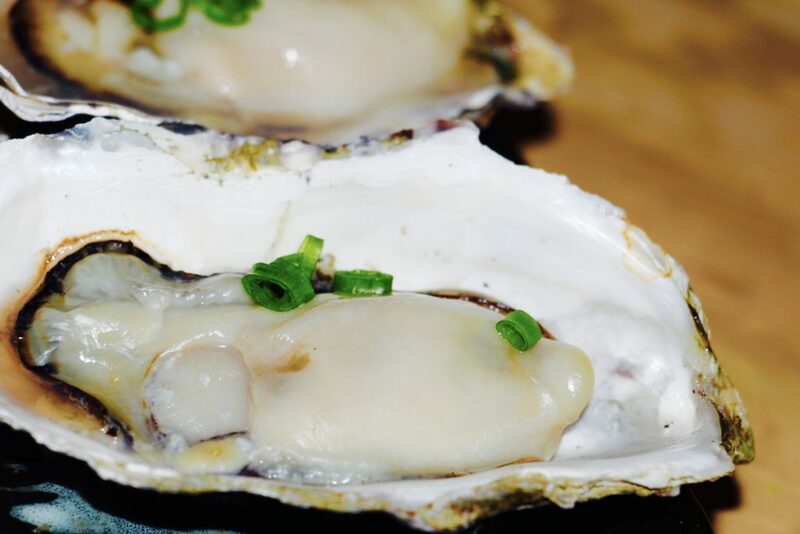 Mary had the grilled oysters too. Guys these took for ever to be served, but when they came she got stuck in and really liked them. So again great work there. So come on East Coasters come support your local suburbians, and eat at Iza, Izakaya Bar & Restaurant, Siglap. Just be patient, order what we ordered and you will absolutely not be disappointed. It was seriously fantastic food. So much so, we might even be going back tonight to have some more. Quality place! 695 East Coast Road, next to the other new gaff, Al Forno Tapas. 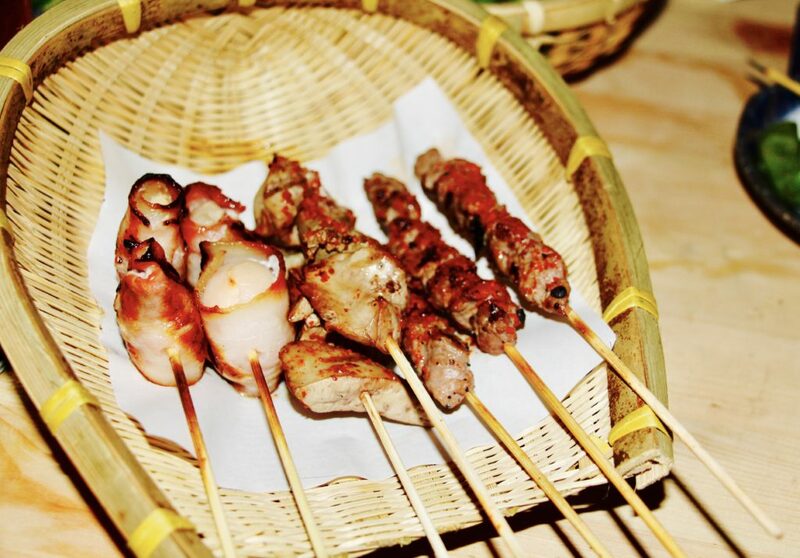 Give them a look up on Facebook; ‘The Skewer Bar’, as it might be sensible to book. It was packed last night. It’s a must folks. Get down here, and – ENJOY!!! No Replies to "Iza, Izakaya Bar & Restaurant, Siglap"